In the last year, there have been many different technologies introduced and adopted by different brands in the mobile world. The technology is moving quickly and Huawei has followed the moment's trends and decided to integrate some of them in the P20, which in comparison to the P10, offers some advantages, but comes at an expensive price. New generations of smartphones don’t always introduce significant innovations in comparison to their predecessors. In the case of the P20 and P10, one quick glance will show important differences. The P20 has adopted a glass body, which is much more elegant and superior to its predecessor’s opaque aluminum body. It is definitely more beautiful, but it's also more inclined to attract fingers, and is also more fragile. The camera module has moved to the left, within a now vertical compartment, and is followed by the flash, the Leica logo, and then the Huawei logo below. The P20’s body features a much cleaner, minimalist and attractive design, at least in my opinion. The P20’s front panel also differs significantly from the P10’s. The display is now FullView and takes up almost the entire space. The frame has been reduced not only on the sides, but also on the top and bottom. The notch is featured on the top, and the iPhone X-style indentation houses the front camera and sensors. Both generations feature the fingerprint reader on the bottom edge that maintains the same oval design. It should be just as fast and accurate on the P20 as on the P10 and other devices from Huawei. 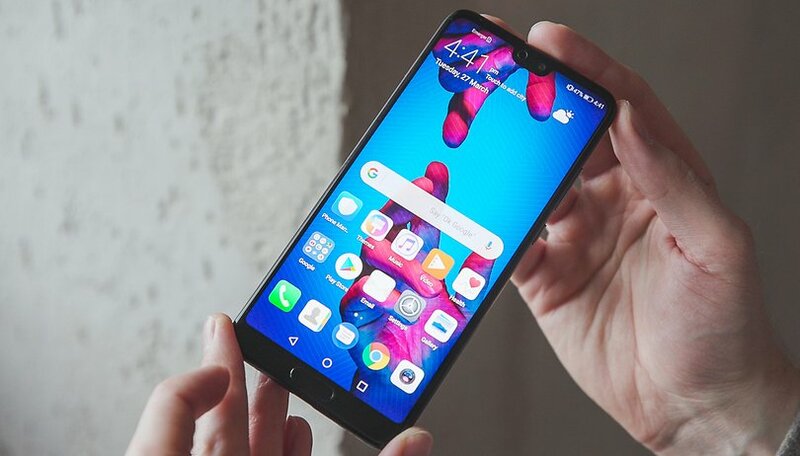 It should also be noted that the P20 opts for a 5.8-inch IPS TFT screen with a 18.7:9 format and a Full HD+ resolution of 2244x1080 pixels. The P10 features a smaller 5.1-inch display with Full HD resolution. Both devices have the same panel technology, IPS, so the performance in terms of brightness and the reactivity of the touchscreen will likely not be very different. There’s no QHD for the new Chinese flagship, but that's not a feature that is indispensable to many users. In this case the P20, in comparison to its predecessor, has an extra gear because it can optimize the user experience by offering a larger screen, and is therefore most suited for multimedia content in a frame that isn’t so bulky. Huawei should also have offered IP68 certification on the P20. The P10 incorporates a Kirin 960 processor (2.3 GHz with ARM Cortex-A73 and ARM Cortex-A53) supported by 4GB of RAM and 64GB of microSD expandable internal memory. The Mali-G71 MP8 GPU (the processing units are larger than in the P9) and the Vulkan APIs are used to manage the graphics. Although during prolonged gaming sessions the device tends to get a little warm, the performance offered by the P10 is good. Demanding games aren’t troublesome, and the transition from one app to another is smooth. The P20, of course, introduces a latest generation processor, the Kirin 970, which the brand already used on the Mate 10 Pro. We haven't tested the chip on the P20 yet, but we saw how it performed on the Mate 10 and Honor View 10. The Kirin 970 processor makes the P20 the first device in the series that has an NPU dedicated to artificial intelligence. The RAM remains unchanged, but the internal memory improves to 128GB, and it retains its support for a microSD card. We can't give you any details about the concrete performance of the P20 yet, but the technical data sheet is promising. Our experience with Huawei’s previous devices with this processor are also reassuring. The dual camera, introduced in 2016 by the P9, remains on the P10 and P20. Only the Pro version makes the jump to three sensors. On the P10 we find a 20MP black and white sensor and a 12MP color sensor. As for selfies, there’s an 8MP from camera with an aperture of f/1.9 that is equipped with Leica lenses. The camera app is easy to use and offers several modes, including the Pro mode that allows you to manually manage individual options. The situation doesn’t change much on the P20, which has a 20 MP monochrome lens and a 12 MP RGB lens with apertures of f/1.6 and f/1.8, respectively. Huawei has also introduced Super Slow Motion. The selfie lens has been optimized with 24 MP and an aperture of f/2.0. Again, there are some novelties compared to the previous generation, but to understand the impact in everyday use of the phone, you’ll need to test it out. The Huawei P20 offers a much more fascinating design than the P10. Last year, the Huawei P20 didn’t generate very much enthusiasm. The P20, however, has renewed interest in the P series by embracing a more premium design while keeping an eye on the trends of the moment. If you don’t like the iPhone X-style notch, you can deactivate it. A larger display is better for gaming, photos, and videos, which any type of user can appreciate. Some will prefer glass and others may be disappointed by the brand’s decision. For the rest, the P20 undoubtedly offers more than its predecessor, and not just a newer chip. There’s the display, unlocking with face recognition, artificial intelligence, a 3,400 mAh battery (200 mAh larger than the P10’s), twice the amount of internal memory and the latest version of Android and EMUI. The P10 is staying up-to-date as well, as its receiving the update to Oreo and EMUI 8.0. The price difference between the two is currently considerable: around $800 for the P20 and about $540 for the P10. Now we just have to do all the necessary tests on the newcomer to see if the new features introduced on the camera, artificial intelligence and better autonomy can justify the upgrade.